In the space of a few weeks at the end of last year and amid poor financial results and questions over its direction, IBM announced $3.6bn worth of IT infrastructure outsourcing deals. The company was last month ranked by Forrester as the world's number one infrastructure outsourcing supplier. Businesses are transforming their IT infrastructures as they move to digital technologies within the company and facing customers. IBM won a seven-year, $1.25bn contract with WPP to put digital services on a hybrid cloud and manage it globally. 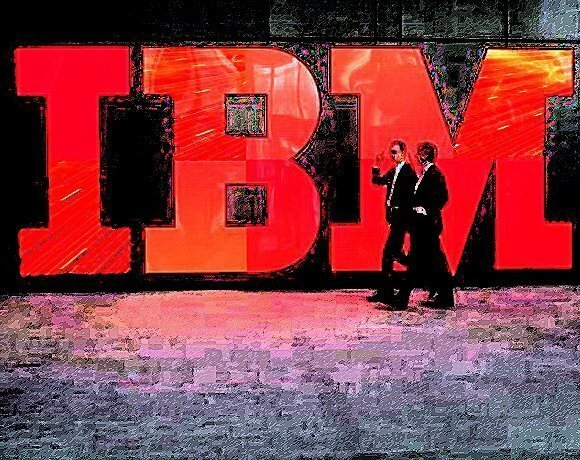 ABN Amro extended its multi-billion-euro outsourcing deal with IBM by a further 10 years and, in November, German airline Lufthansa confirmed a €1.25bn, seven-year outsourcing contract with IBM to reduce its IT costs by €70m a year. In The Forrester Wave: Global Infrastructure Outsourcing report for the first quarter of this year, IBM was ranked first out of the world's top 13 suppliers. Forrester estimates that the global infrastructure outsourcing opportunity is worth $187.5bn worldwide. In fact, Forrester’s research said IBM “leads the pack by a substantial margin”. Forrester said that as companies move to digital ways of working, infrastructure outsourcing is critical. “The market for infrastructure outsourcing services remains critically important as enterprises prepare their infrastructure for the new digital age,” it said. IBM has won deals worth $3.6bn over the past couple of weeks, with advertising giant WPP the latest to ink a billion-dollar deal. Could IBM, or any of the large IT and BPO service providers, still function with tens of thousands or even hundreds of thousands fewer staff? German airline Lufthansa has confirmed a €1.25bn seven-year outsourcing contract with IBM and announced plans to break up its IT services division, with part going to IBM. Forrester said the infrastructure outsourcing market is beginning to focus on predictability through the use of analytics, self-healing with automation, and self-service with adaptation to cloud models and use of service stores. It will take time for other providers to catch up with IBM’s breadth of capabilities, it added. The suppliers next in line were HCL, Accenture, TCS, HP, Capgemini, CSC, Wipro, Atos and T-Systems, which are ranked closely together. Then comes a third group comprising GWA, Fujitsu and CGI. Lee Ayling, partner at KPMG, said IBM has more focus on outsourcing than it has had for seven years. “In infrastructure outsourcing, it is one of a handful of truly global players with a mature on-premise cloud infrastructure offering,” he added. Ayling said IBM now needs to develop a simple portfolio of services in outsourcing. “I think it has a diverse enough portfolio to offer something for everyone in the infrastructure space. For example, it has the kit, facilities, managed services, enabling and management technology and tooling. Professor Ilan Oshri at the Centre for Global Sourcing and Services at Loughborough University School of Business and Economics, said IBM retains its leadership in IT infrastructure while leveraging on the delivery of IT infrastructure and services to promote the digital services agenda, either as part of the initial contract or later on as add-on services. “We have come across quite a few examples in the automotive and pharma industries where IBM has transformed the competitive position of its clients by introducing a digital infrastructure alongside the ongoing support of the IT infrastructure, such as desktops,” he said.